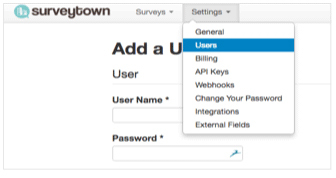 Multiple User functionality inside of SurveyTown allows you to create users and give them permissions to do certain things within the account. For example, lets say in are in a department where you have multiple people posting surveys or forms. With our multiple user functionality you can make sure that one person in your department doesn’t accidentally delete the surveys made by another person. 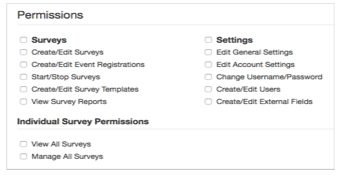 Additionally with multiple users you can give users the ability to just see reporting but not permission to edit a particular survey. This could be useful for real-time results within the office without jeopardizing anything about how the survey is setup or constructed.